In Which the Pirate Adds the Finishing Touches. 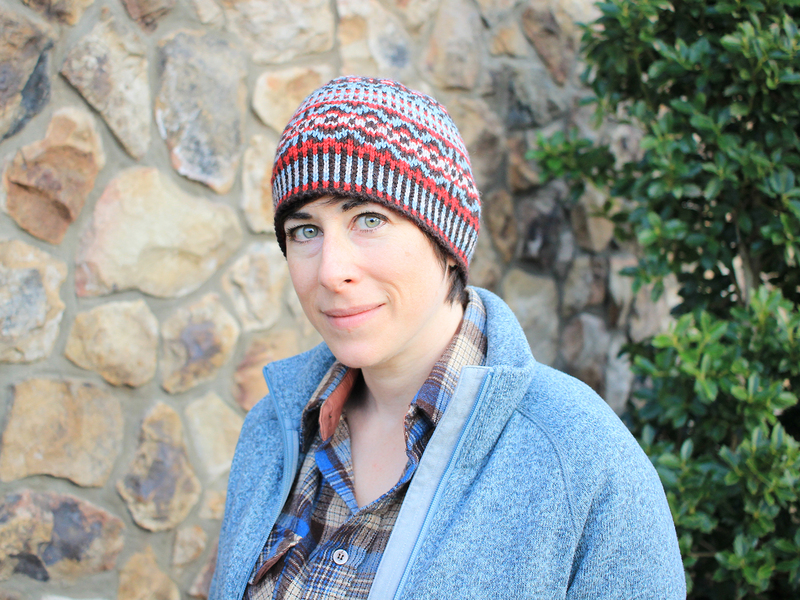 I'm fortunate to have friends with good cameras who are willing to point them at me and my knitting. Comments Off on In Which the Pirate Adds the Finishing Touches. 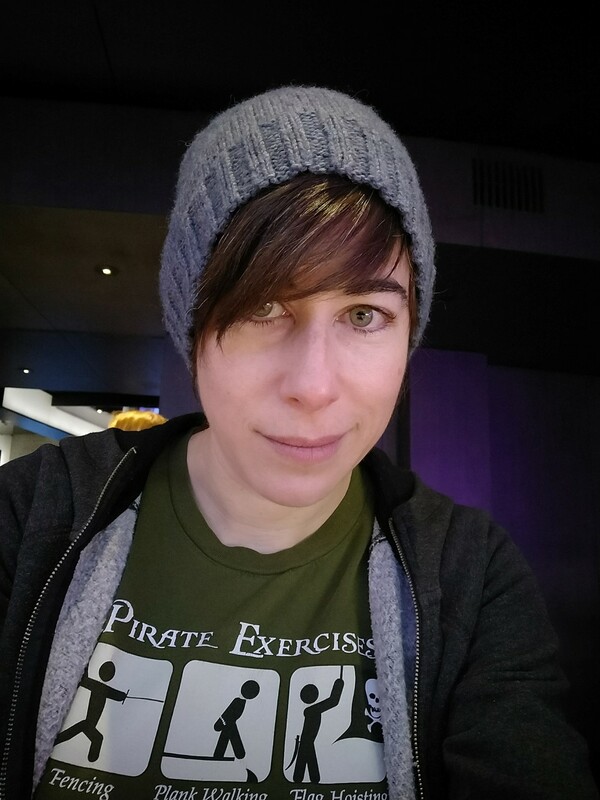 In Which the Pirate Gets Ready. 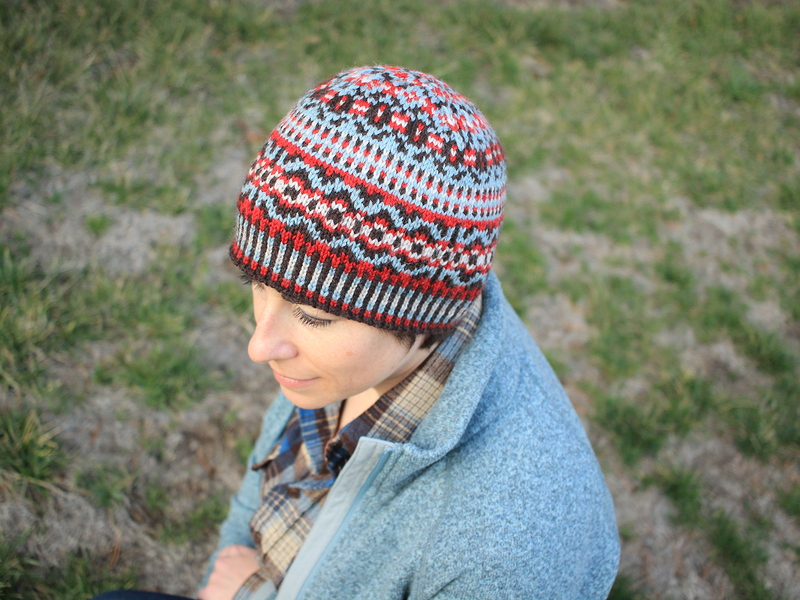 The hat pattern that I've designed as a celebration of ten years of knitblogging! Here it is enjoying a nice warm bath with a little bit of Eucalan before making its debut. 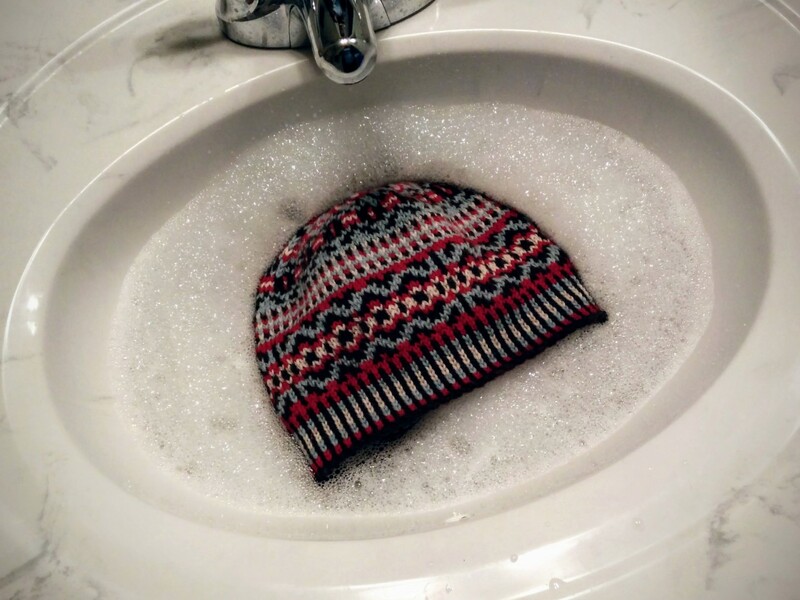 I let it fully sink into the water, of course, but not before getting a picture of it floating on the suds! 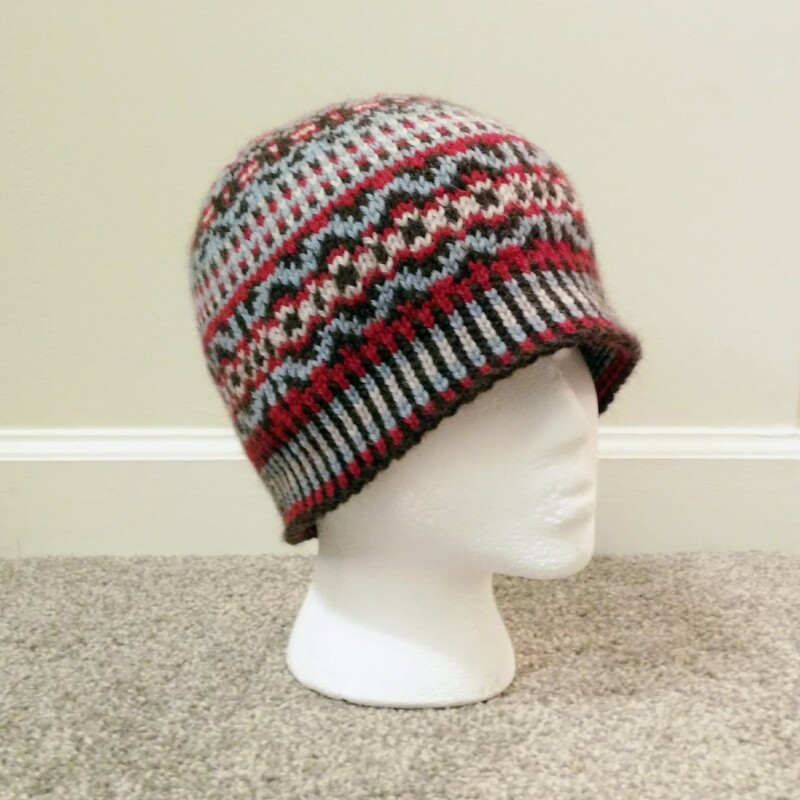 I'm thrilled with the way the crown of the hat came together. This is the part that I always have trouble envisioning when I look at the chart. When I pulled the last threads through to cinch the top tight, and saw how neat the whole thing looked, I couldn't have been more happy with it. 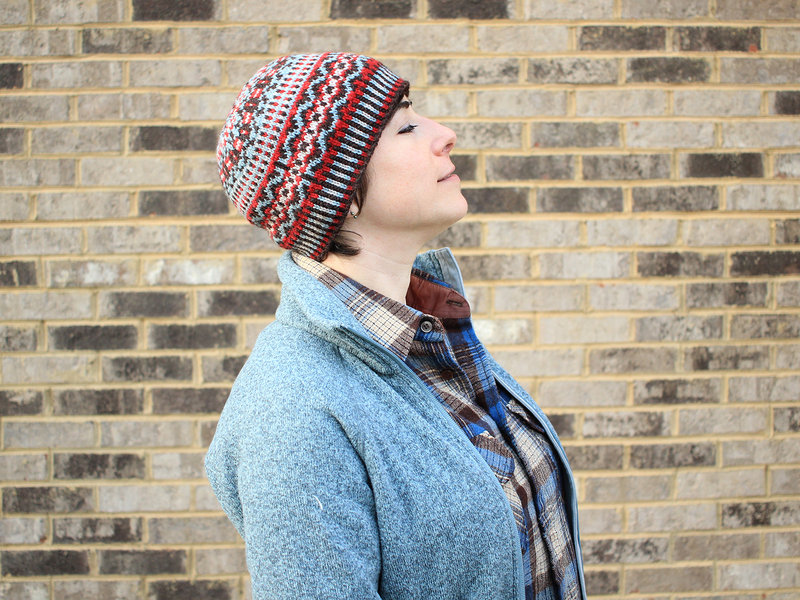 The pattern is under final edits, the test-knitters have provided some feedback, and I'm super-excited to put the finishing touches on this and release it to the world! Look for it on the 4th of April! Comments Off on In Which the Pirate Gets Ready. In Which the Pirate Fixes the Mistake. 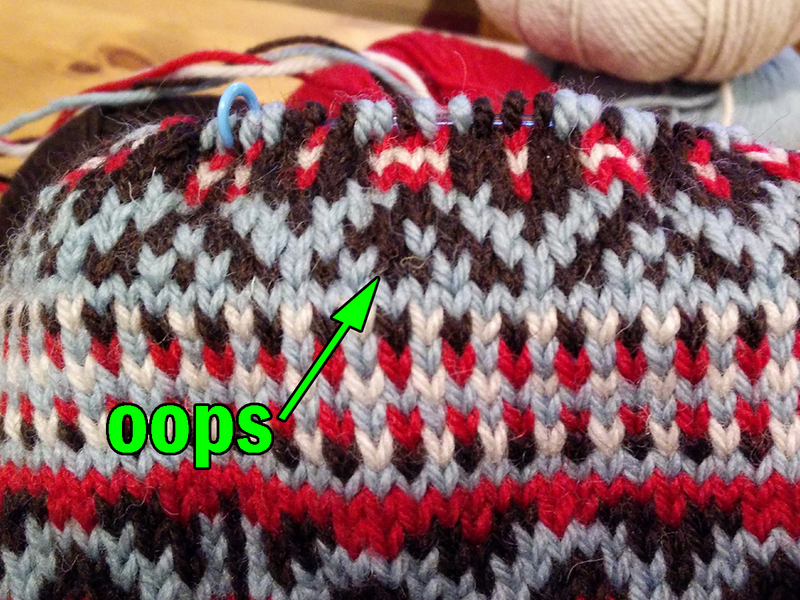 So, this mistake where I swapped a brown stitch with a blue stitch had to be fixed. I couldn't just leave it there, not if I ever wanted to be pleased with the finished project. ...and then I dropped the next stitch off my needle and helped it to ladder down. The marker is now where it should have been: holding the stitch just below the one I need to fix and keeping the column of stitches from dropping even farther. It was surprisingly easy to re-catch the stitches and pick them back up to the needle. Here the first column has been fixed, and I've moved the marker to the stitch below the one that needs fixing in the second column. 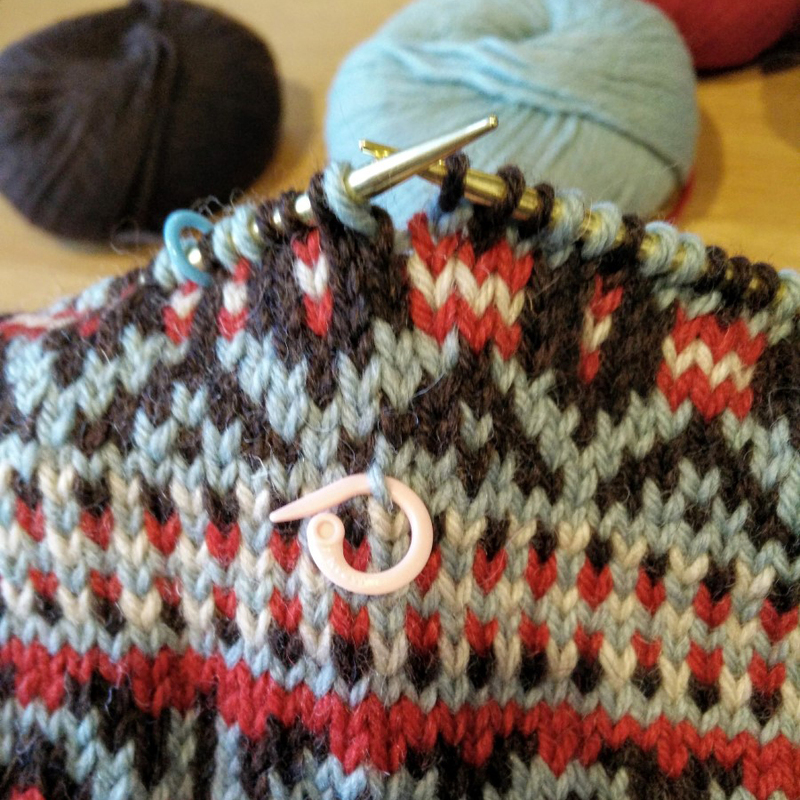 When it comes to picking up the stitches in a ladder, I've found that a small DPN is easier for me to use than crochet hooks. This is a US 1/2.25mm needle that I borrowed from the nearest sock-in-progress. It's a good deal smaller than the US 4/3.5mm needles on which I'm knitting, which is beneficial if the stitches are tight. 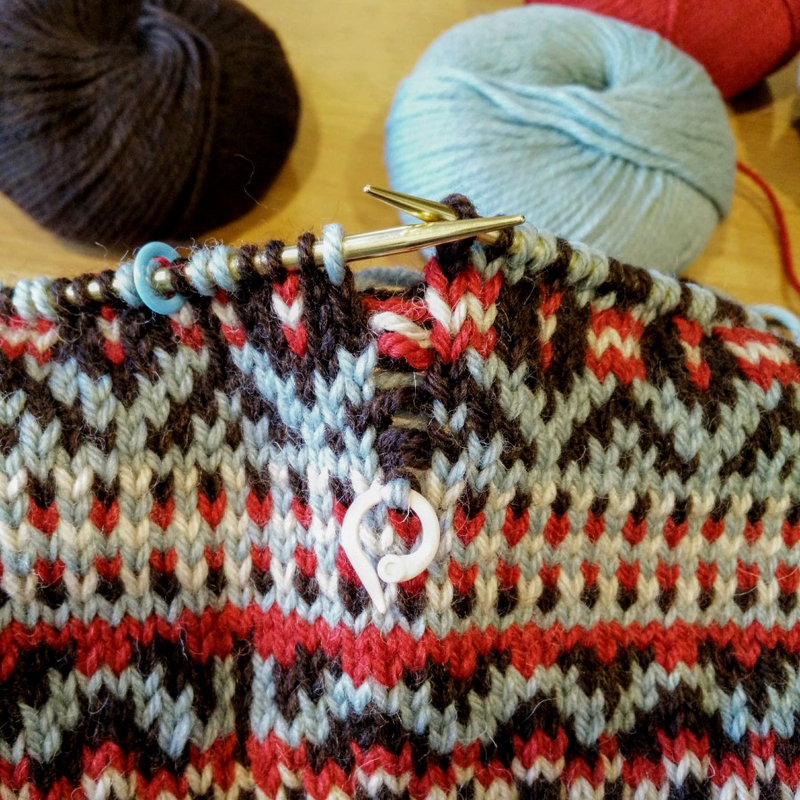 I slipped the DPN through the lowest stitch, then picked up the strand coming from the neighbouring stitch of the appropriate colour. 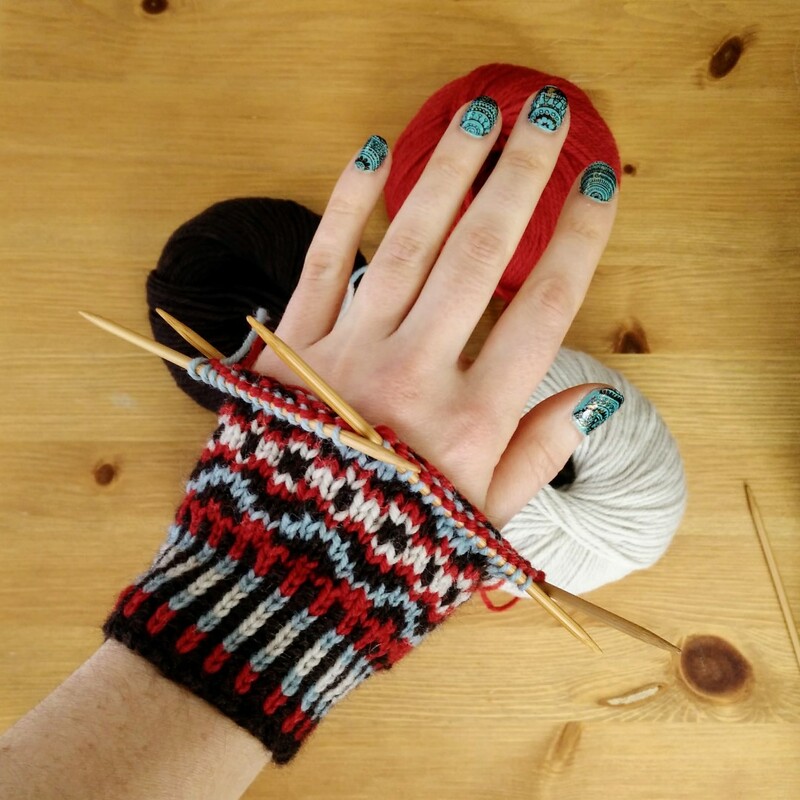 It's easy to find with a little bit of tugging on the yarn. 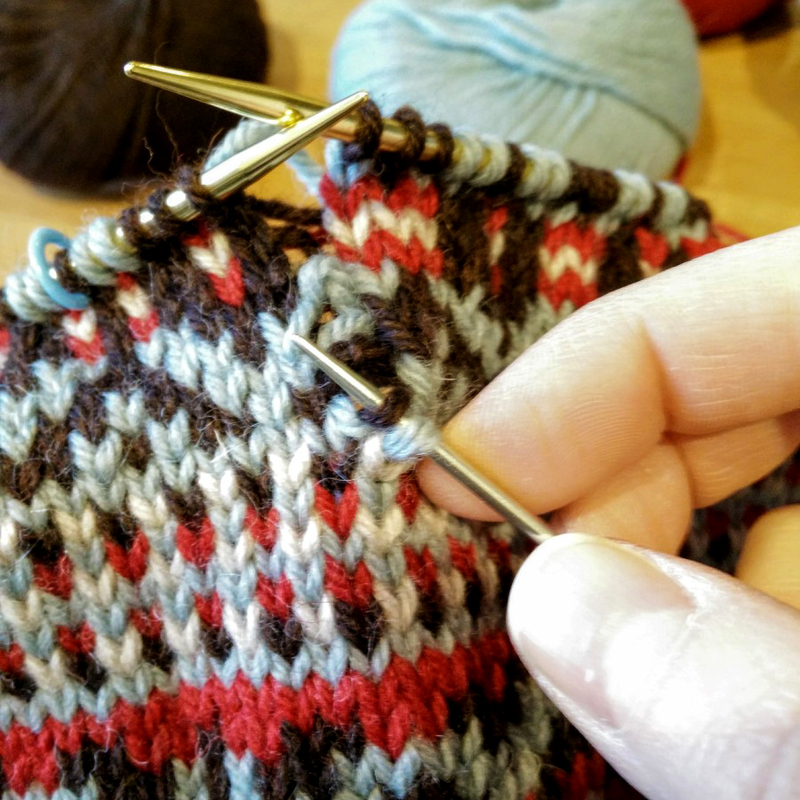 Then I can either duck the tip of the DPN with the picked-up stitch through the lower stitch, or use my fingernails to lift the lower stitch over the new one. 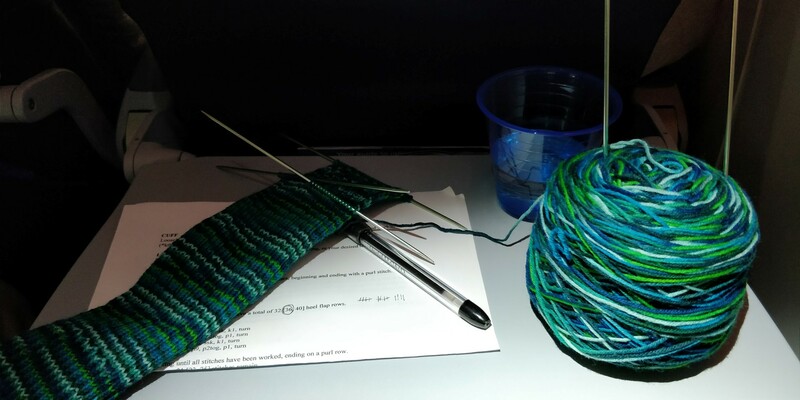 Either way, it's important to be careful that neither stitch is twisted and that all the yarn's strands have been captured. Here's the fix! You can't even tell that it was ever wrong. I was just as concerned about the inside looking good as I was about the outside! Whether it was dumb luck or skills I didn't even know I had, the inside of the hat looks exactly as it should. 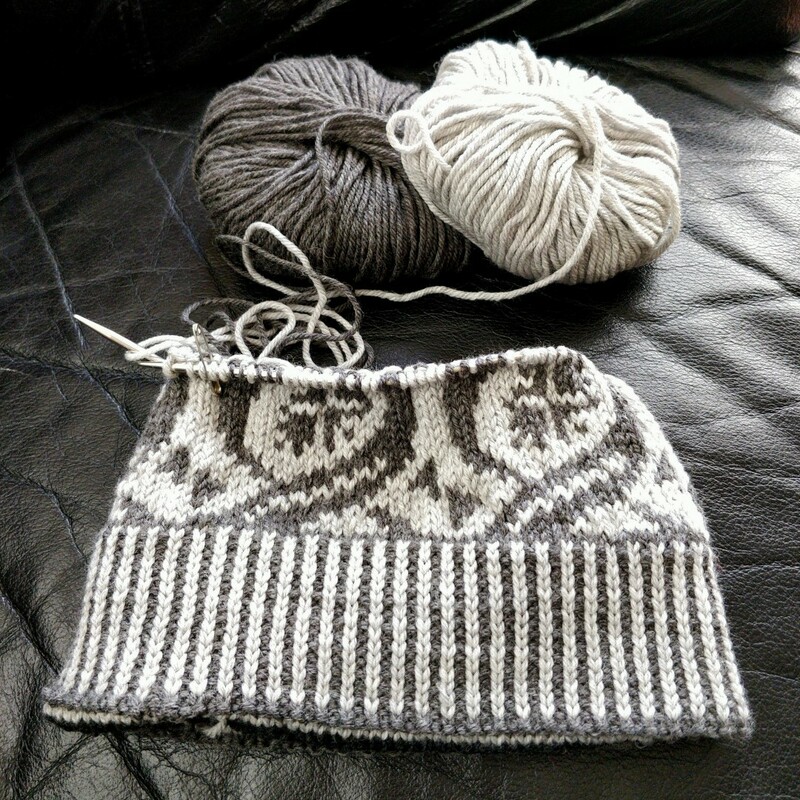 Once it's been washed and blocked, it will be next to impossible to find the fixed stitches. Q: How long did it take to fix? A: Not very long. Less time than I spent agonizing over it, anyway. The timestamps on the pictures say it was 24 minutes, but I also spent eight of those minutes on the phone and I also paused to take pictures of the process. So maybe, maybe, it was fifteen minutes at most. A: Way easier than I thought it would be! 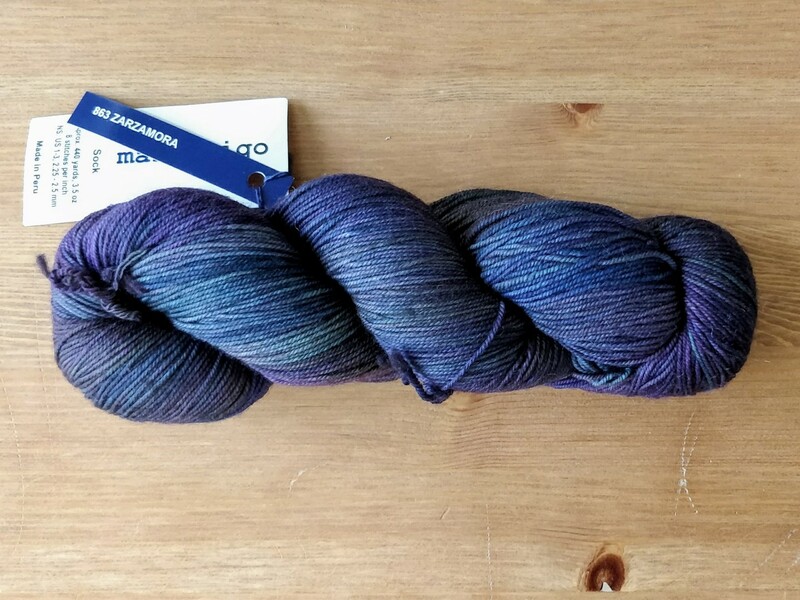 The colours have so much contrast that it wasn't challenging to see which strand I needed to pick up. 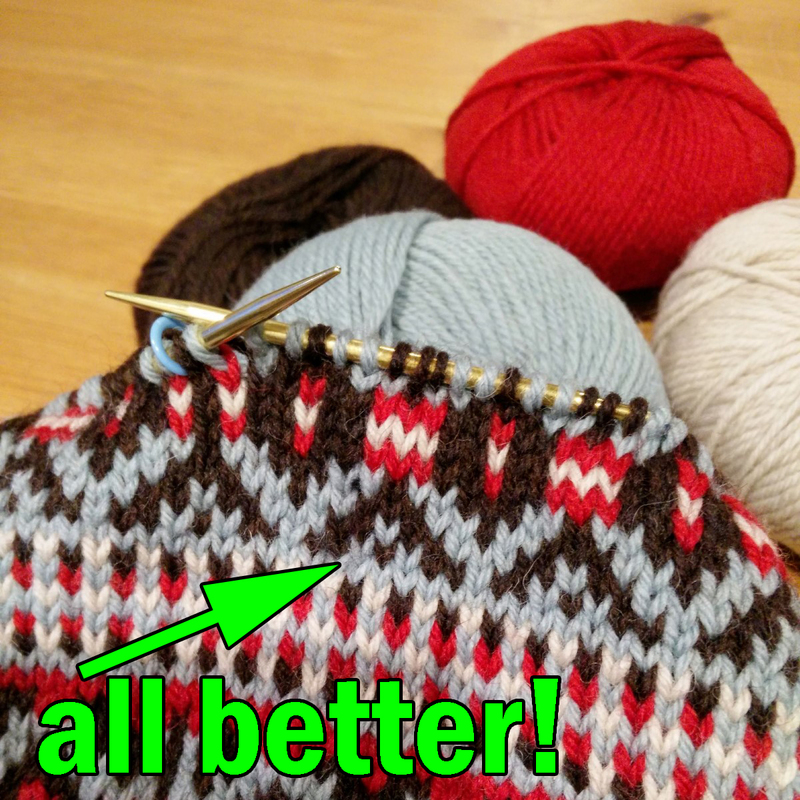 I did split one stitch on the way up the second ladder, but I went back and fixed that too. Q: Will you spend so much time waffling over whether to fix the mistake the next time this happens? Because you know there will eventually be a next time. A: Of course I will. Q: Even though you really know, deep down, that you can't leave a mistake like that and you're going to fix it? Comments Off on In Which the Pirate Fixes the Mistake. In Which the Pirate Makes a Mistake. It was bound to happen, I suppose. I only wish I'd noticed it sooner. But there it is. 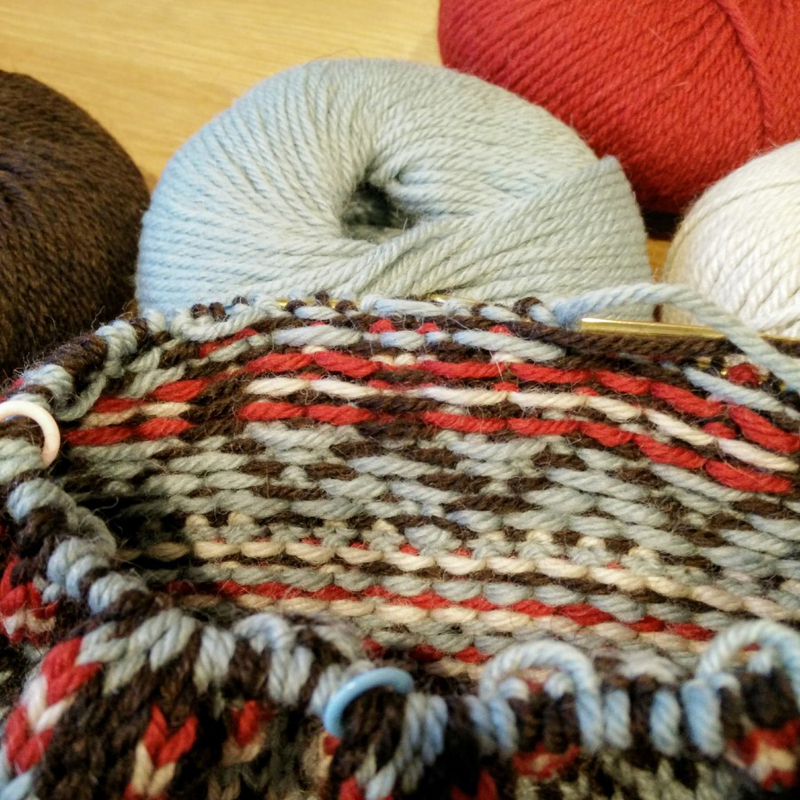 A brown stitch where there should be a blue one, and then a blue stitch where there should be a brown one. 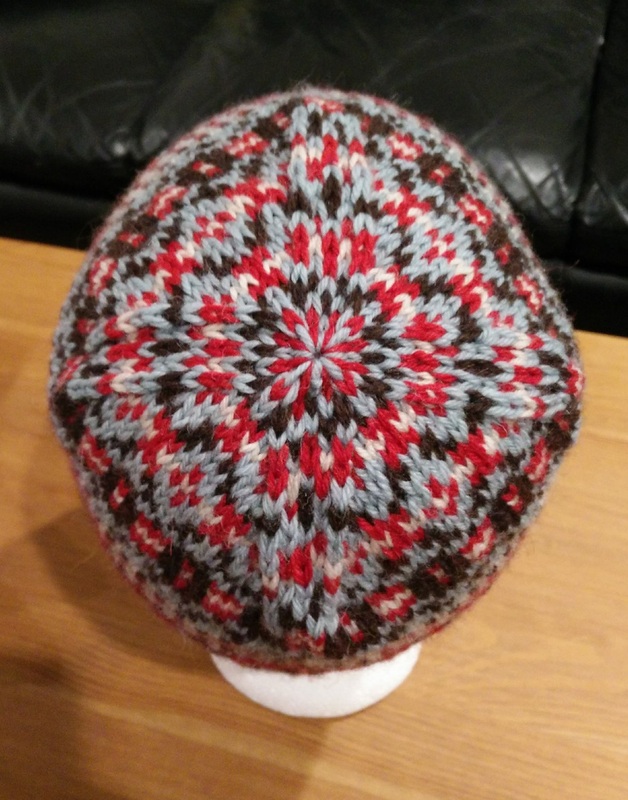 I posted to the Ravelry thread for the "Colour Your Winter" challenge to which this hat belongs, and everyone either said that it would be fine to duplicate stitch over the mistake, or that it would be fine to just leave the mistake and no one would notice. But... I would notice. I'd never be able to not notice. I told the helpful Ravelers that I'd sleep on it and decide what to do, but I already know that I'm going to drop down the eight rounds and fix it. On the plus side, the floats in the back will maintain an appropriate tension since the two stitches will be swapping places! Comments Off on In Which the Pirate Makes a Mistake. In Which the Pirate Knits with Enthusiasm. Yesterday I hurriedly left the office because it was starting to snow, and while the forecast was only for a little accumulation that can really cause rush-hour troubles here in northern Virginia. (You'd think we'd learn, but no.) 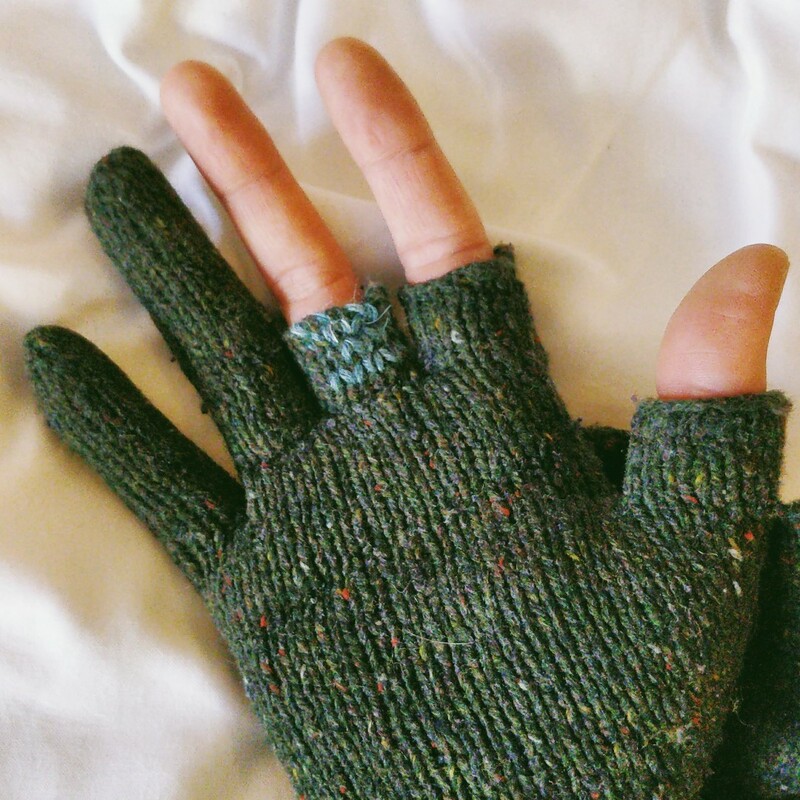 Any excuse to hurry home and knit is a good one, right? The snow turned out to be nothing much, but I decided that a good soup was in order for dinner anyway... partially because hearty soup is so pleasant on a cold night, but mostly because soup is practically effortless and leaves more time for knitting! So I chopped up some veggies and meat, tossed it all into the pot, set it to simmer, and settled in for the evening. 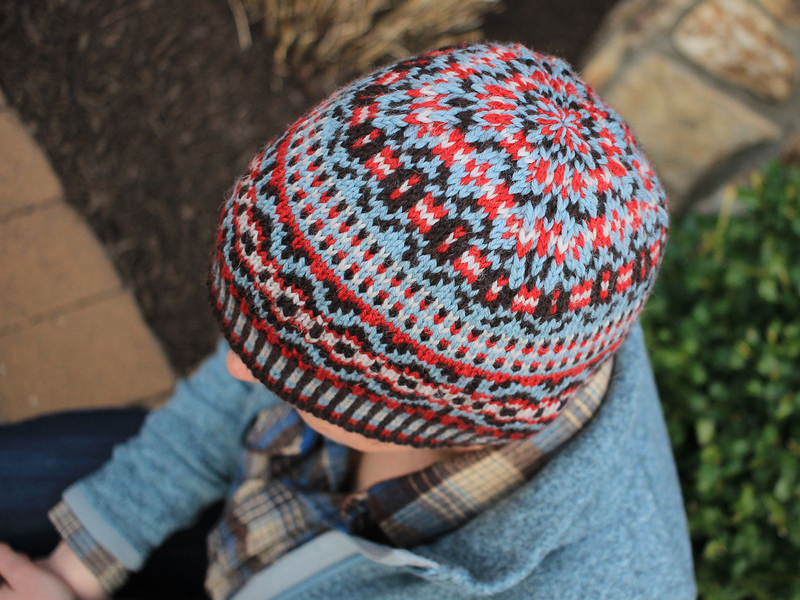 I'm so pleased about how this hat is coming out that I fell into that "just one more round!" mentality and stayed up past my bedtime. But look how far I got! 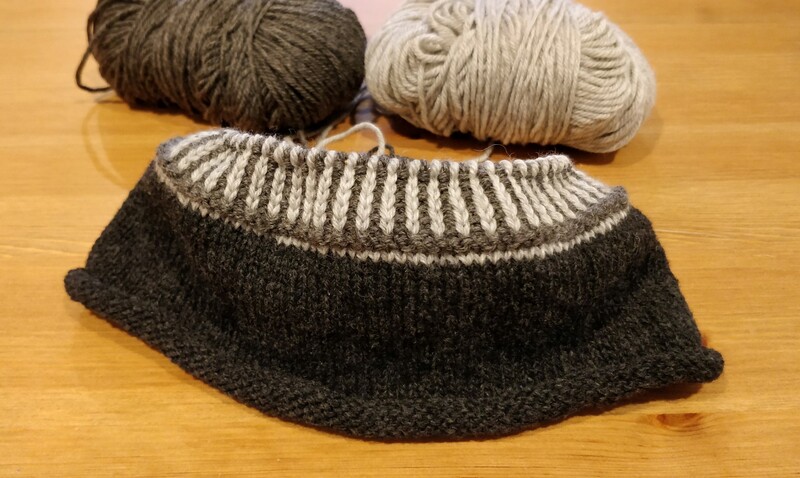 I measured it up against an existing hat that fits perfectly, and it looks as if the new one is also going to be just right for my head after it's washed and blocked. 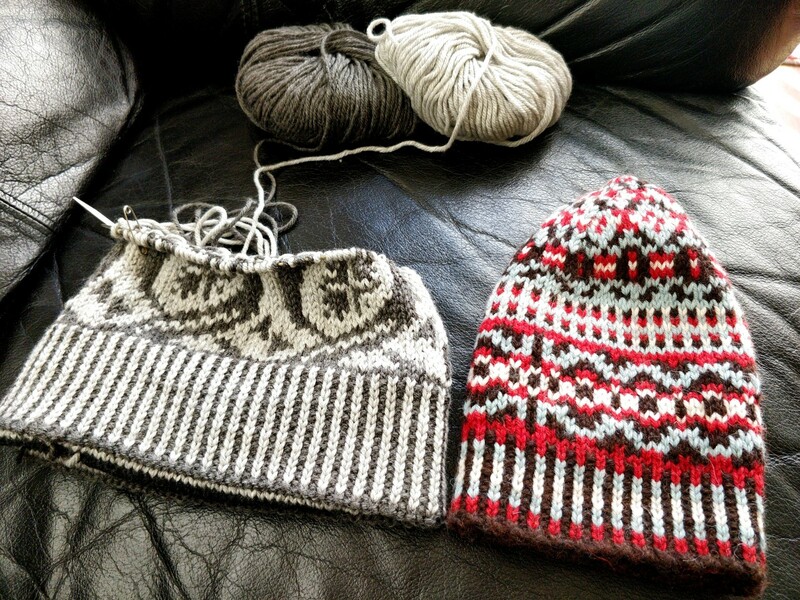 The overall height may need to be adjusted, so I'll put in a lifeline before I start the next motif. 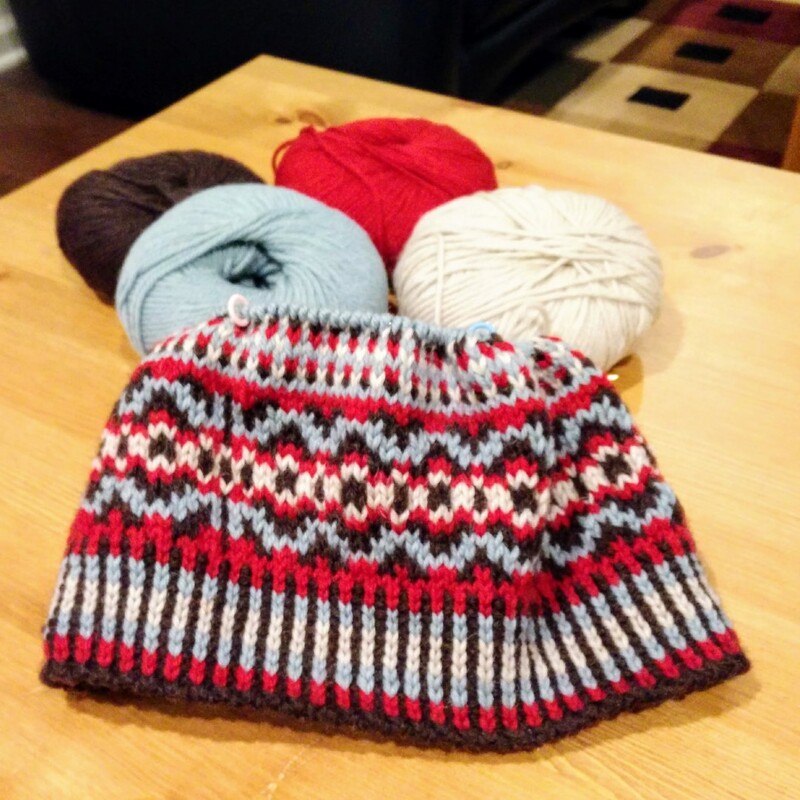 I'm hoping to have it done soon, and then I'll refine the chart if necessary and knit another hat in the larger size to test that out, and then I can work on typing up and laying out the actual pattern, and can you tell I'm just a little bit excited about this one? Easy enough: Put everything in the pot. (If you put the liquid in last, there will be less splashing.) Bring to a boil, then lower to a simmer. Cook uncovered for about two hours, stirring occasionally. Soup will continue to thicken after it cools, and may need additional liquid when reheated. 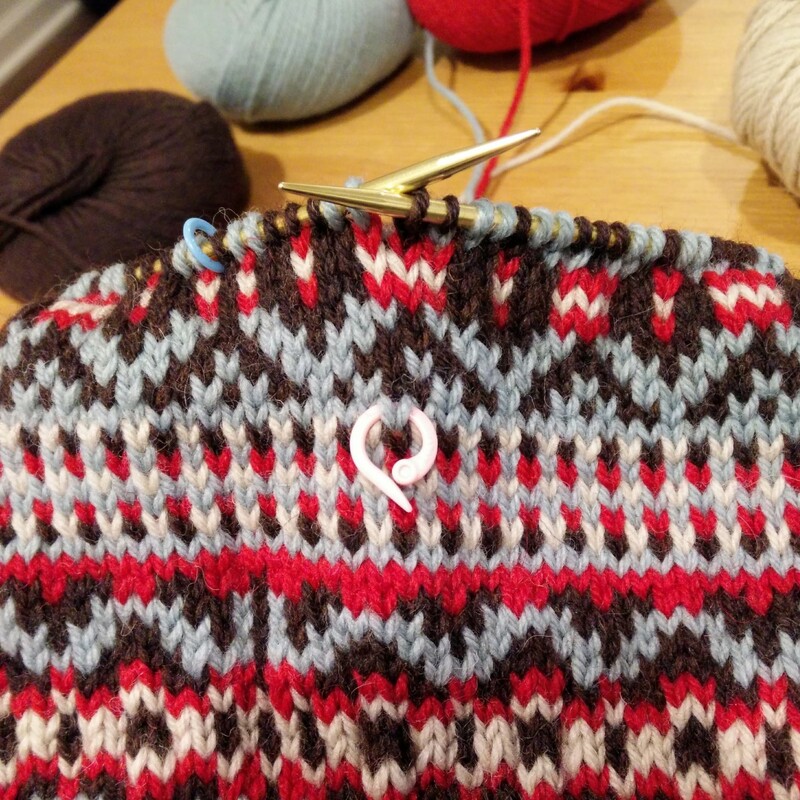 Comments Off on In Which the Pirate Knits with Enthusiasm.